At last I can share some great news! The contracts were signed yesterday, the copy-edits are finished, the preliminary artwork will arrive this week, and I spent a couple of hours last night answering “Author Questions,” which will feature at the end of the novel. HarperCollins also has an option on my second novel Now & Then, which we (my agent and I) sent to them last week. It’s a very exciting time and I’d like to thank all of you for helping me get this far. Your feedback on my pieces, as well as allowing me to critique yours, has been invaluable. I’ll be back at the Wednesday afternoon class in the spring and can’t wait to see you all. I had another piece accepted. I am rich in recognition! Not so much the other stuff … what’s it called again? Oh yeah – money. This piece is very short – not 50 words short – but under 250 words. If you get a chance to read it, I hope you enjoy it. I had fun “constructing” it – I didn’t repeat a single word! Read Mary’s story, “Courtship Contemplation Reaches Floral Conclusion” here. And read three 50-word stories by Mary here. For information on submitting to Fiction on the Web, see here. And for information of submitting to 50-Word stories, see here. Remember that little story I read aloud last spring about a woman named Beryl who takes up Qigong? You were good enough to say kind words about it, which built up my confidence, and now it is making its official debut in this month's edition of Canadian Stories. For information about submitting to Canadian Stories, see here. 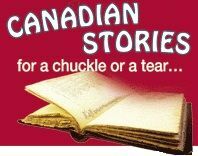 Also, Canadian Stories has an annual contest with a May deadline, so this might be a good time to look them up. I will be returning to your courses in the spring. Commuterlit.com will publish a story of mine next week. I was able to write this story because of all I learned in your writing dialogue class – thank you, dear mentor and wizard of teaching writing. Read Suzanne’s latest story, “One Plus One,” here. See links to all eight stories that Suzanne has published on CommuterLit here. For information about submitting to CommuterLit, see here.